Lingual braces are a treatment method where the appliance (brackets, wires and elastics) used to rearrange your teeth is mounted on their backside (tongue side). Due to this positioning, they're sometimes called "inside" braces. 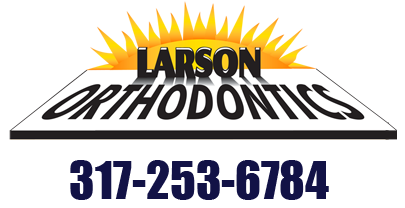 In comparison, conventional "outside" braces are placed on the side of your teeth that shows. While the location of the appliance used is reversed, both conventional and lingual technique share many similarities in terms of the type of hardware and orthodontic principles involved. Lingual braces differ from other types of teeth straightening treatments in a number of ways. When you begin to compare lingual braces vs. metal braces, the most noticeable difference is that lingual braces are positioned behind the teeth rather than on front of the teeth. Another difference is that, unlike traditional braces, these are custom-made to match the contours of your teeth. The treatment involves your orthodontist taking a mold of your teeth and sending it to the lab that will actually create the custom brackets and intelligent wires. The brackets are then applied to the back of each tooth and connected with a wire. When it comes to looking at the pros and cons of lingual braces, there are a number of benefits to consider. One of the most obvious ones is the ability of lingual braces to correct misaligned teeth as effectively as traditional braces, but without having to worry about the aesthetic aspect of having metal strips and wires on front of the teeth. This cosmetic advantage is appealing to patients that prefer having hidden braces. This adult orthodontic treatment is a great option for anyone in a number of professions. Since these braces are on the back of the teeth, just about anyone can wear them. Overall, professionals who are required by their jobs to constantly face clients and speak in front of groups can benefit from the discreet nature of this teeth straightening solution.